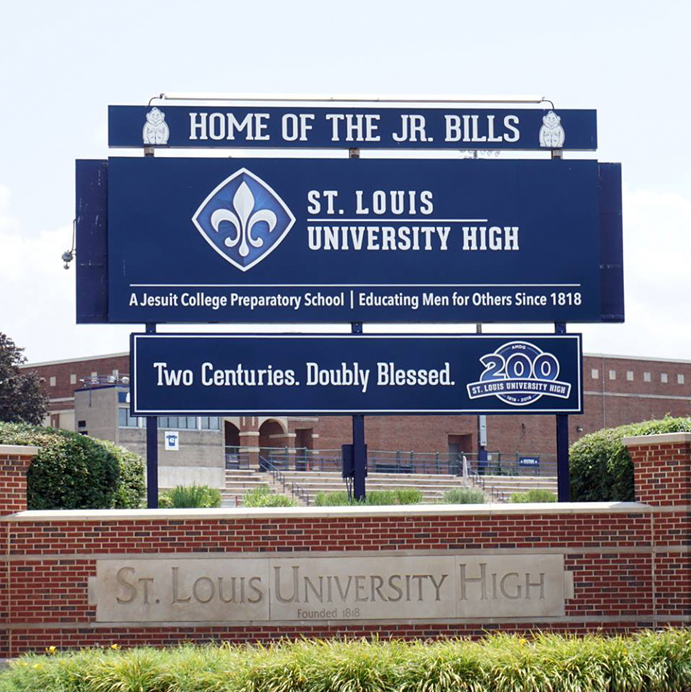 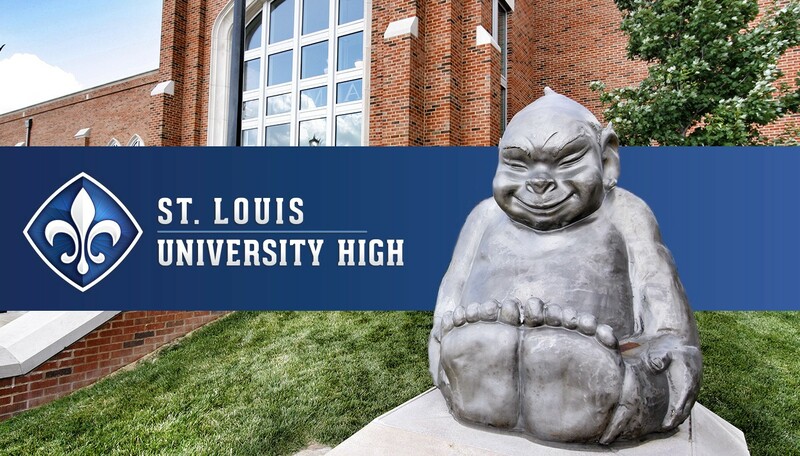 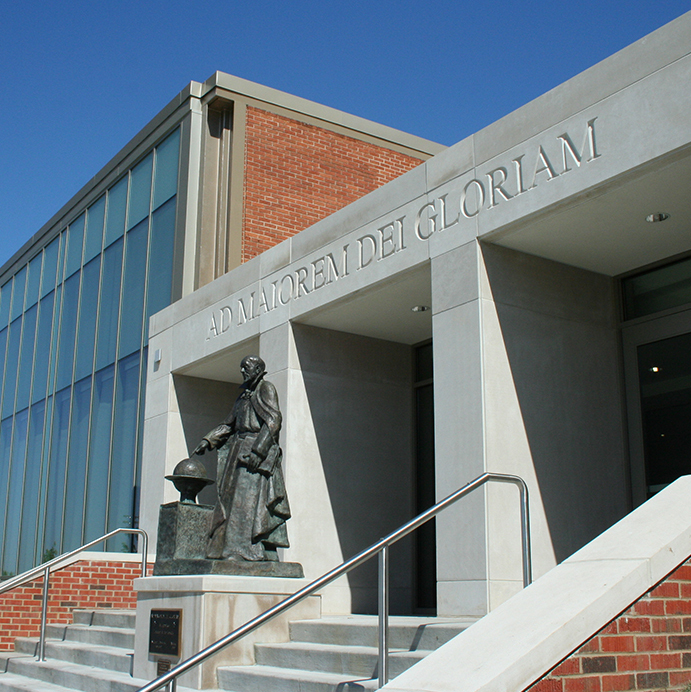 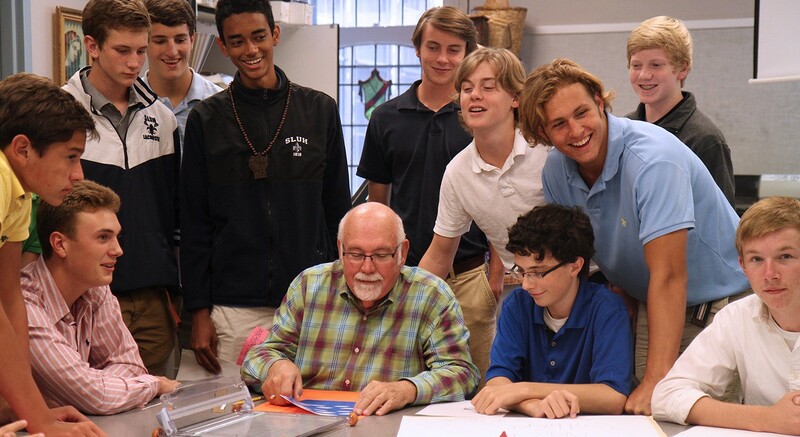 St. Louis University High School (SLUH) is one of the city’s premier high schools, offering a rigorous academic curriculum that helps prepare young Jesuit men for the demands and responsibilities of college and beyond. 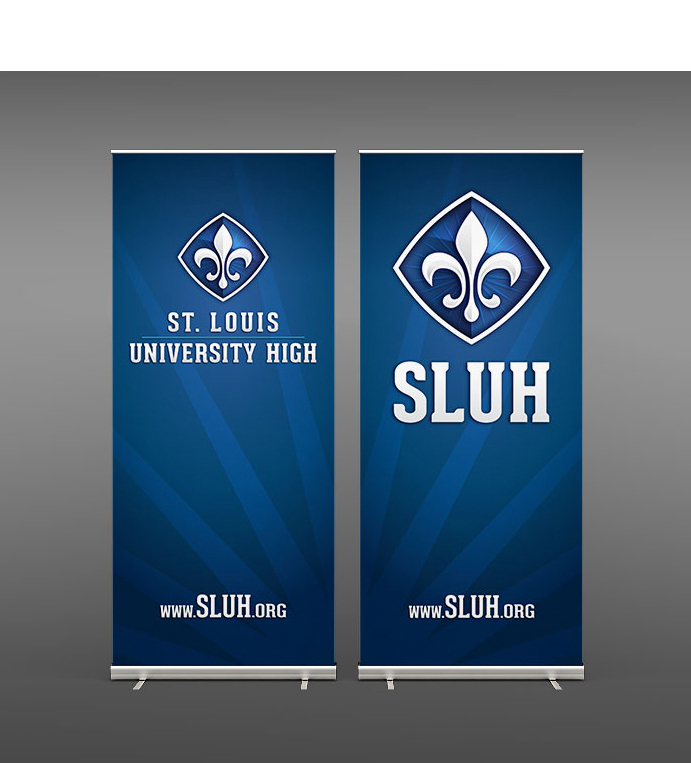 Seeking increased enrollment and greater recognition across the St. Louis metro area, SLUH partnered with Paradigm to evolve its visual identity and provide a foundation for its use and protection over the years. 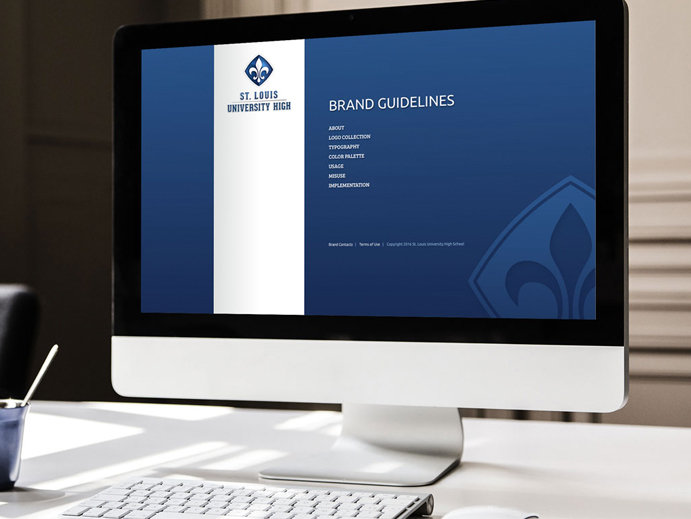 During our discovery process, we honed in on the school’s visual identity, which had become worn over the years and was often used inconsistently by different departments. 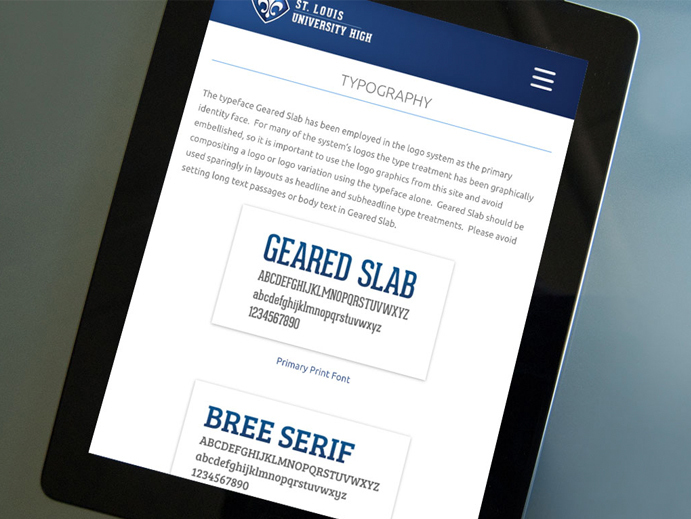 We immediately began work on an evolution of SLUH’s brand that delivered an authentic, memorable visual message that presents the school in a brand new way. 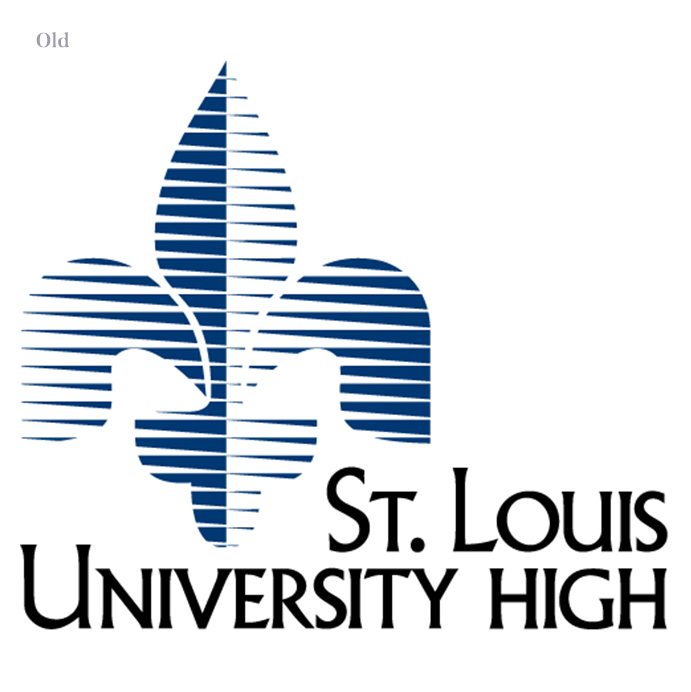 We moved forward with a new logo that respects the school’s rich history and bold colors that excite. 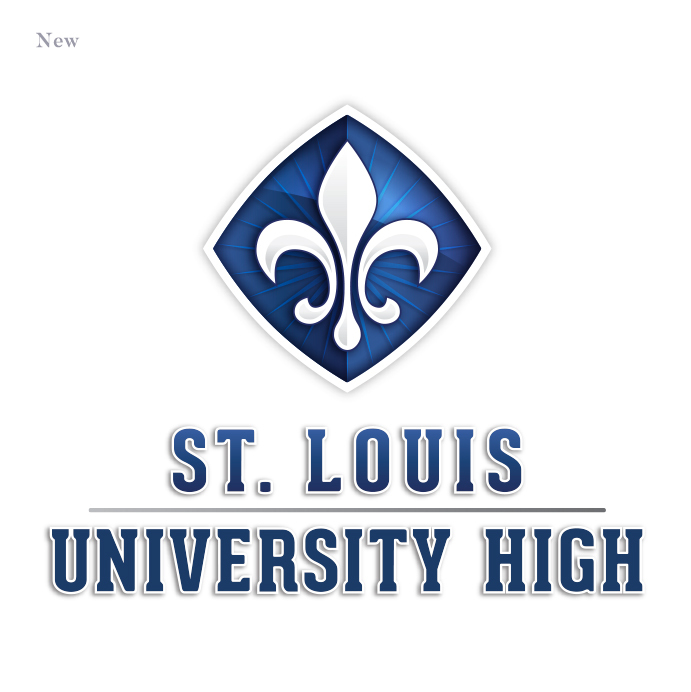 We redesigned the school’s signature fleur-de-lis as a strong, iconic symbol and surrounded it with a dark blue, diamond shield that subtly emphasized the masculinity of its student body. 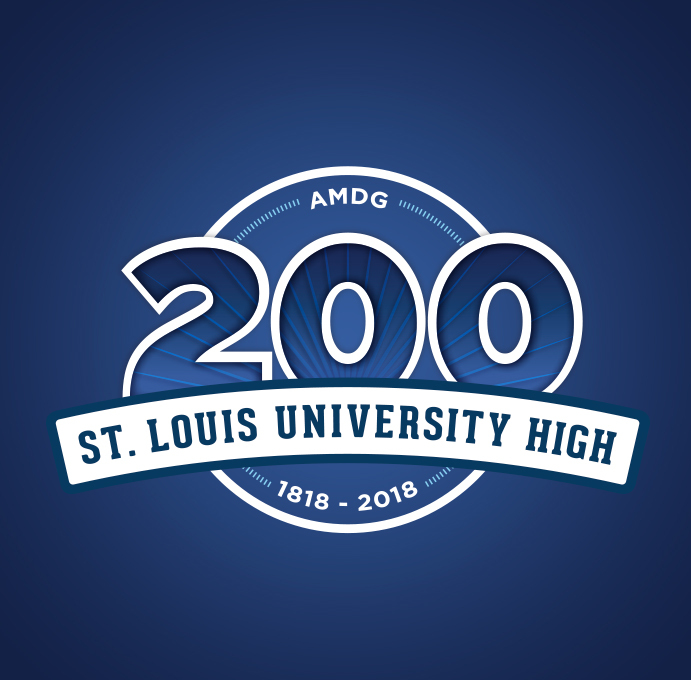 An effervescent blue radiates through the shield, a nod to the Jesuit idea of Christ’s ever-present light in our lives. 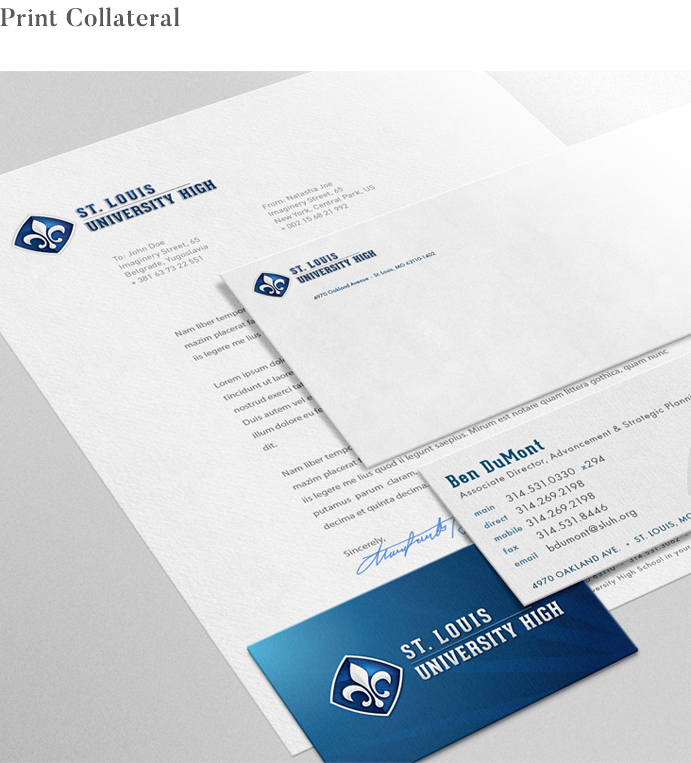 We also recognized SLUH’s need for a variety of logo presentations for everything from athletic apparel to professional letterheads. 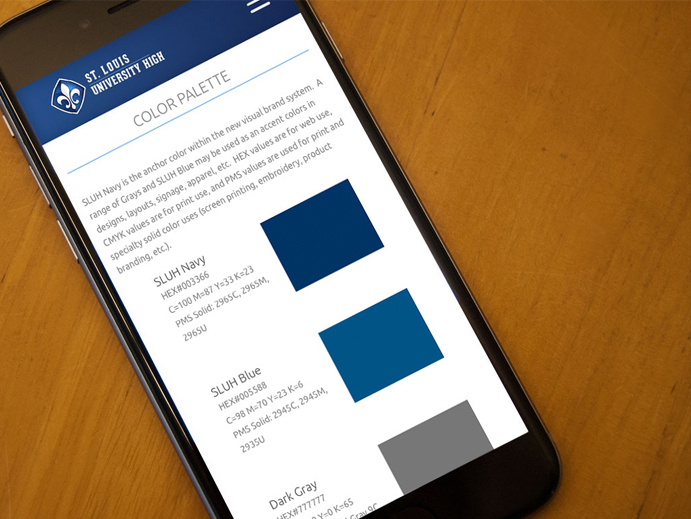 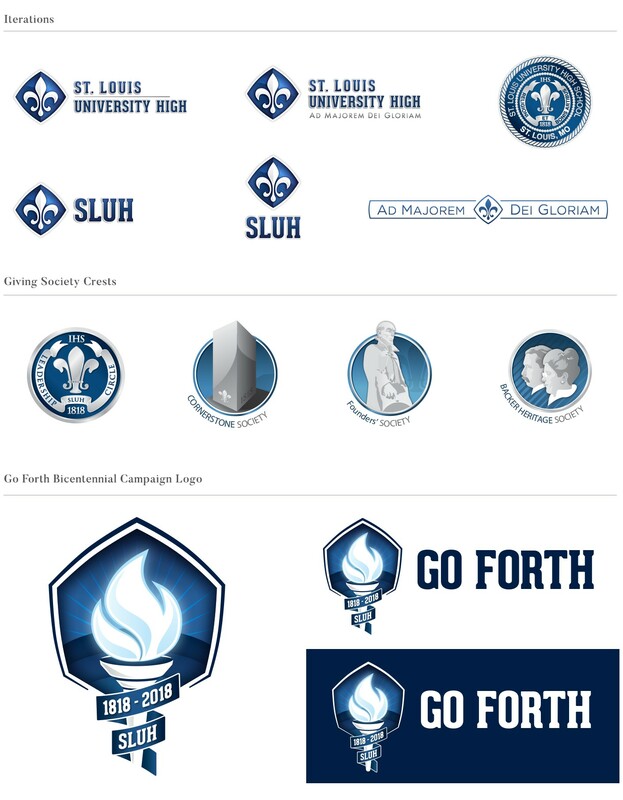 Giving careful consideration to the context and usage of each, we delivered a suite of logo options that work well together to strengthen the SLUH name. 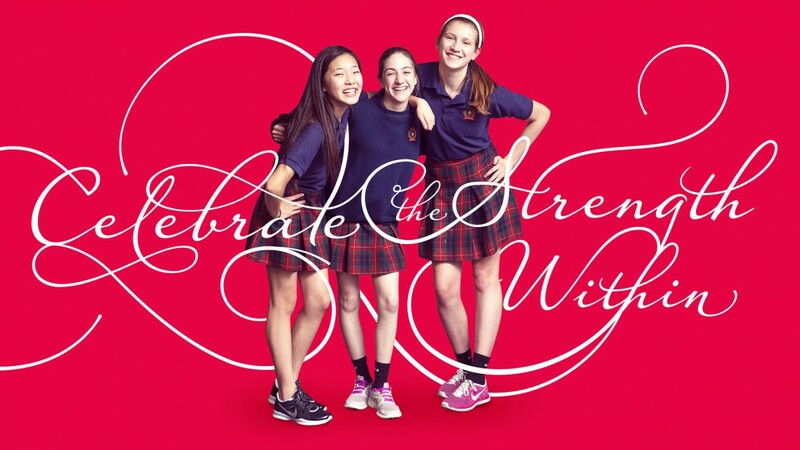 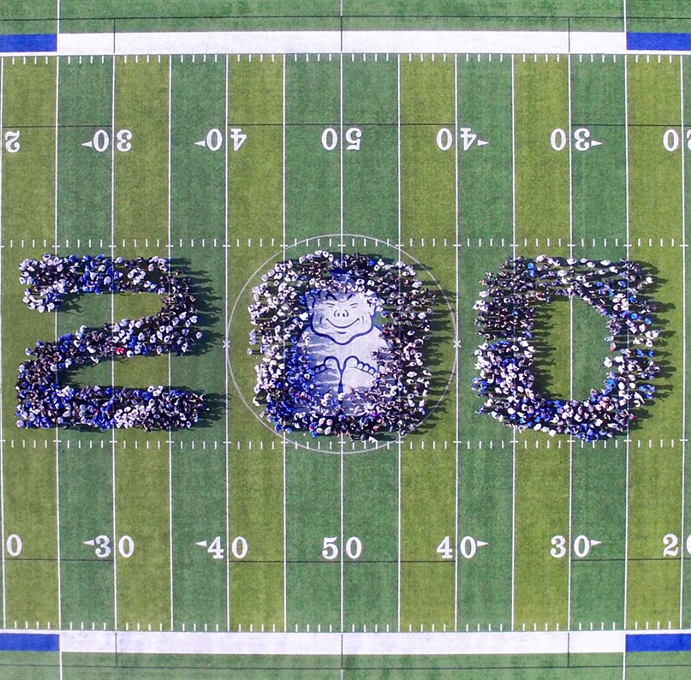 We also developed logos to commemorate special occasions for the school, such as its bicentennial celebration. 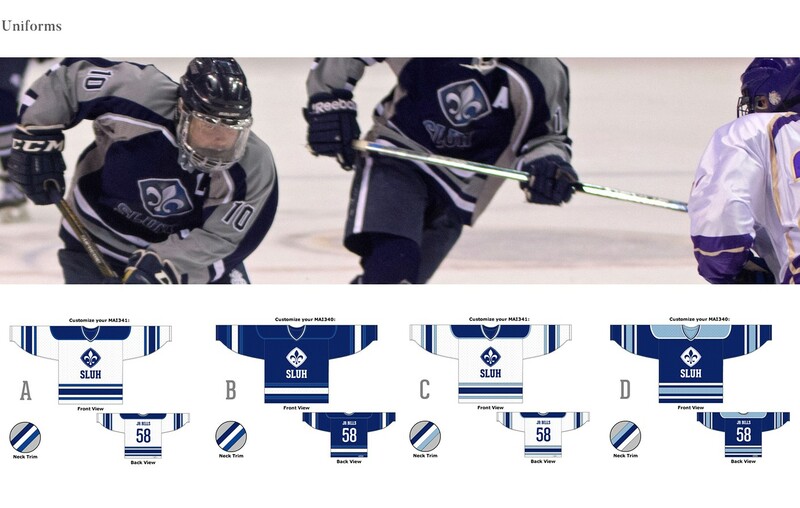 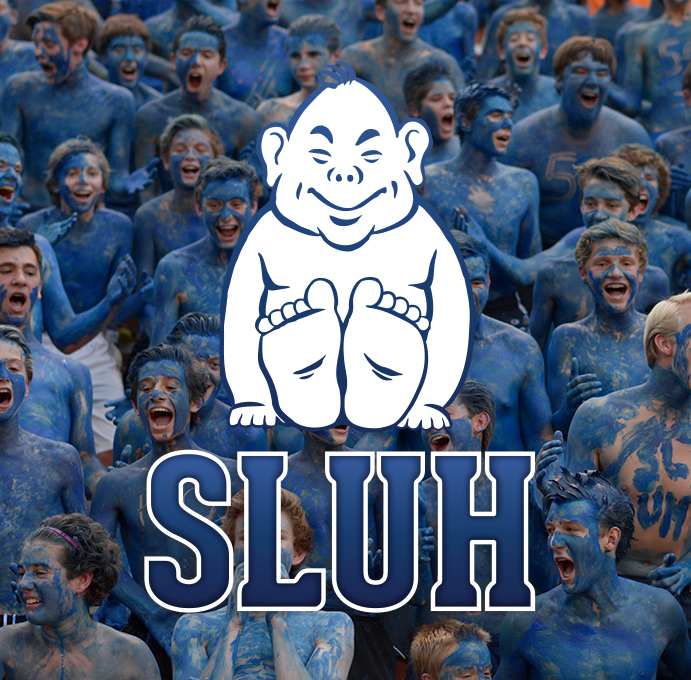 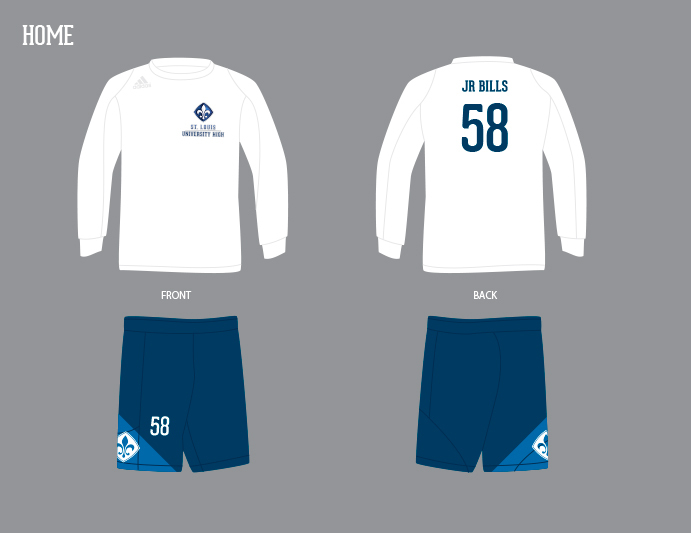 SLUH’s athletic teams also required a cohesive visual identity capable of living under the school’s overall brand. 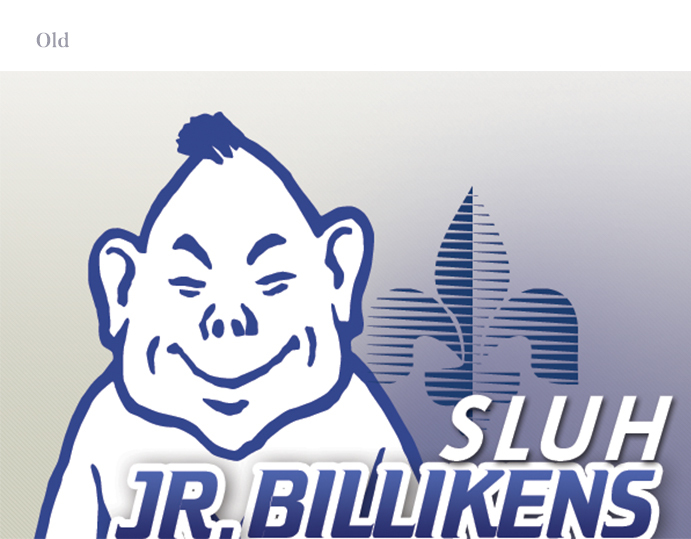 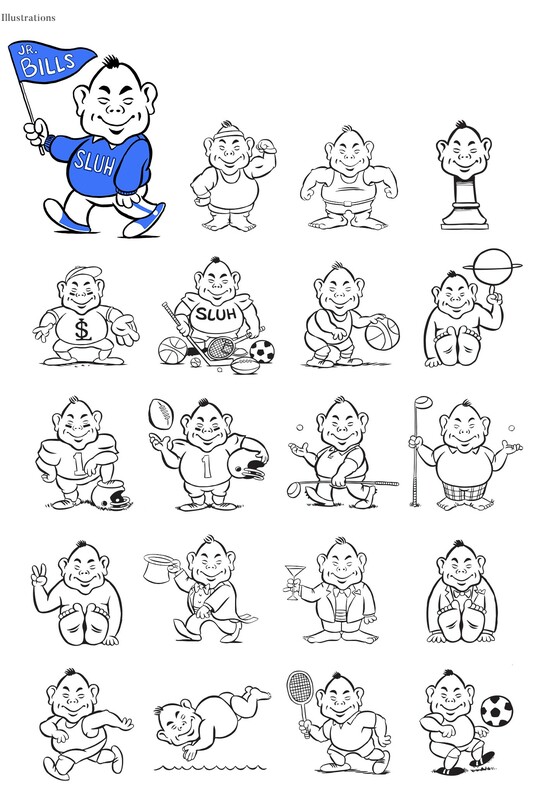 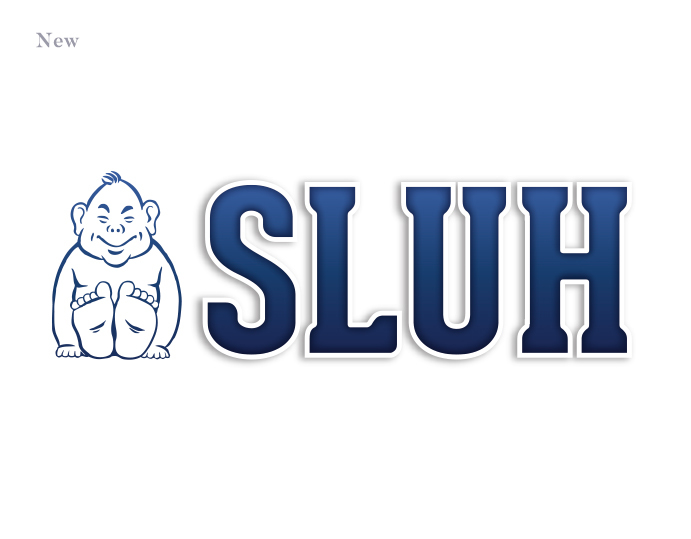 We cleaned up the school’s mascot, the Junior Billiken, and incorporated it into unique logos for each sport. 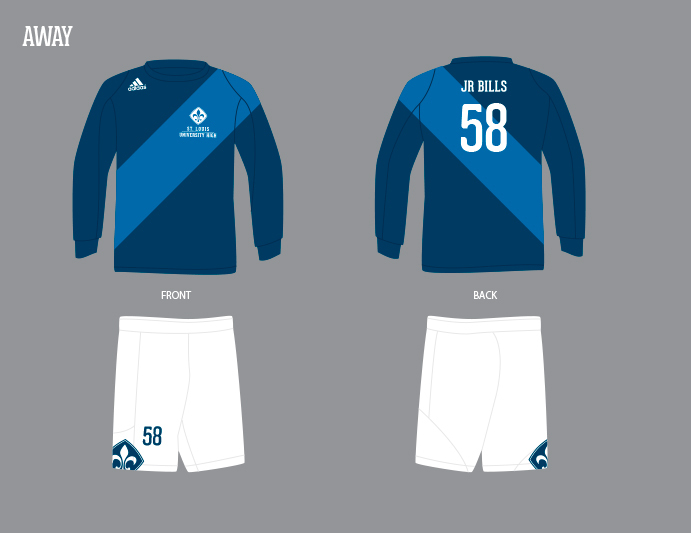 Going beyond basic design, we also envisioned the logo as it would appear in practice on everything from uniforms to flags. 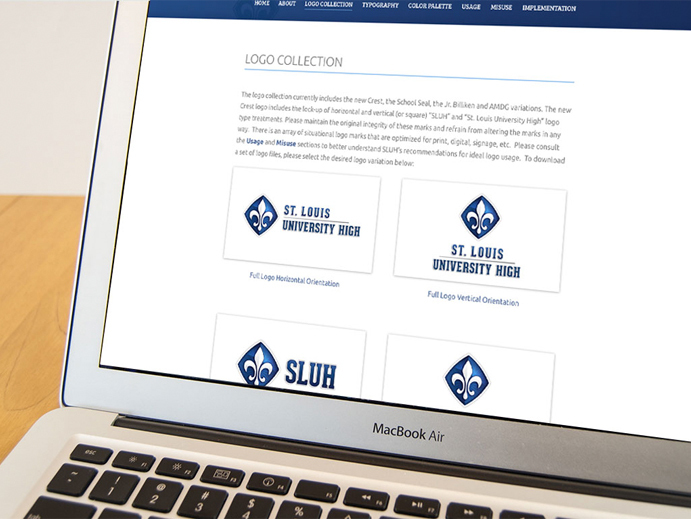 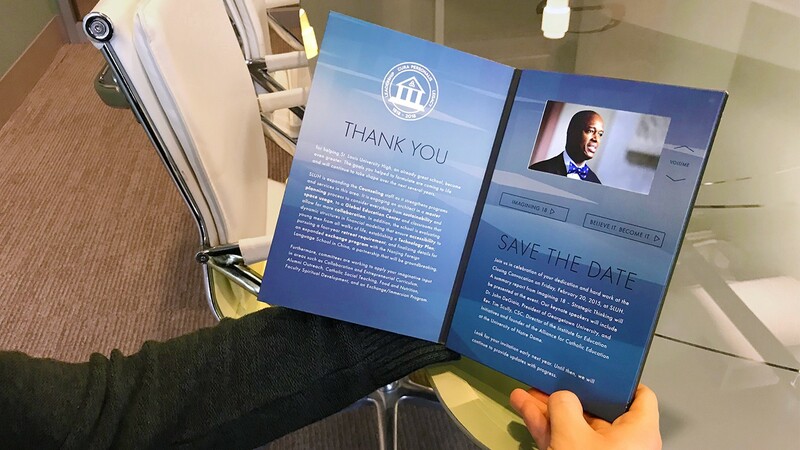 Beyond the logo, we sent SLUH back to school with a branding system that included: graphics, logos, messages, styles–all wrapped up in a guide explaining how these pieces work together and how they’ll help drive success for SLUH in the years to come. 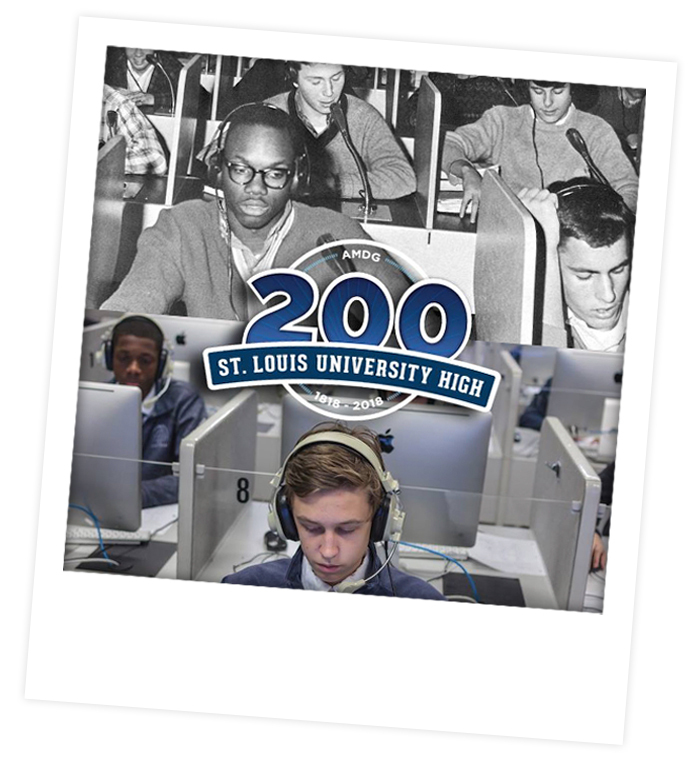 Now with a more confident brand that’s used consistently across the school and in the community, SLUH continues to educate and prepare St. Louis’ young men for lifelong success.